Since it was founded in 1963, Korg's goal has been to create new experiences in music	and performance. That was what drove the creation of Japan's first disc-based rhythm	machine, the Doncamatic, and then led to the development of Japan’s first synthesizer	and the world's first needle-type tuner, followed by numerous unique instruments that	have brought the enjoyment of musical performance to many people all around the world. 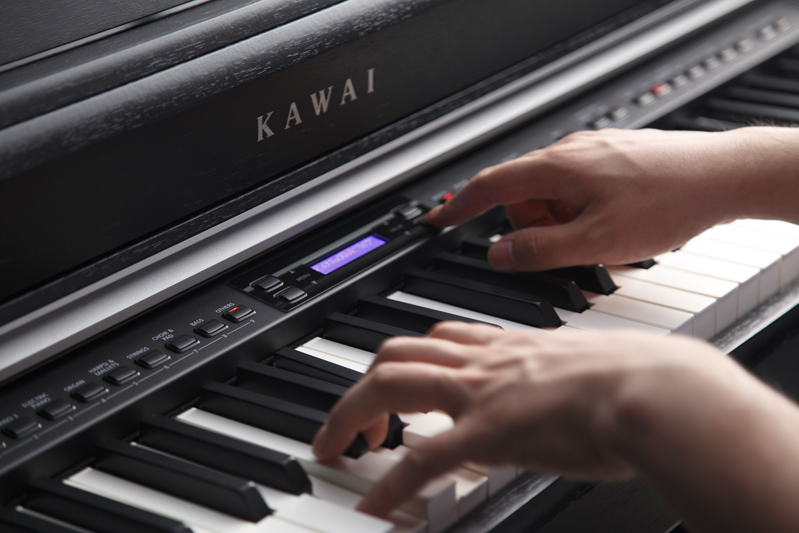 Kawai’s award-winning line of digital pianos is the result of a never- ending effort to create the world’s most authentic and innovative digital pianos. Relying on our rich experience in building fine acoustic pianos, Kawai builds digital pianos that offer the finest tone and touch available. Wooden-key actions, Harmonic Imaging sound technology, USB digital audio and the unique Soundboard Speaker System are just a few of the innovations found in our digital pianos and keyboards. Contact us today for more information about our digital pianos and keyboards.